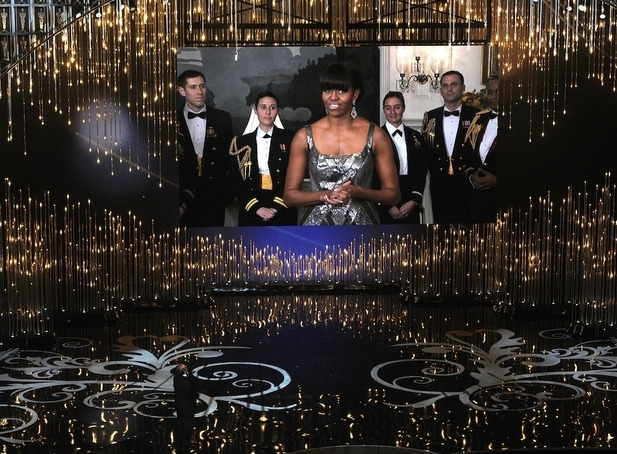 Iran’s state TV may have dismissed the Oscar-winning “Argo” as an “advertisement for the CIA,” but they still showed an image of Michelle Obama presenting the film with the award for Best Picture. 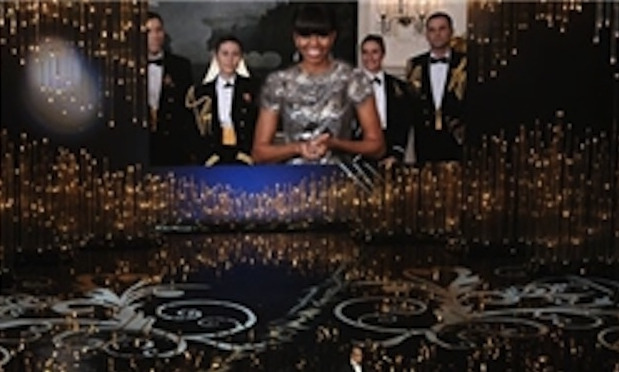 But the image of the First Lady beamed in via video from the White House looked different for readers of the semi-official Iranian Fars news agency. 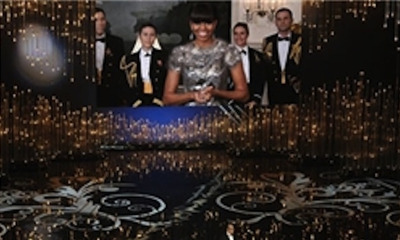 Michelle’s Iranian alter-ego appeared in the same silver Naeem Khan gown, but with a high neckline and short sleeves to make her modest enough for public viewing. 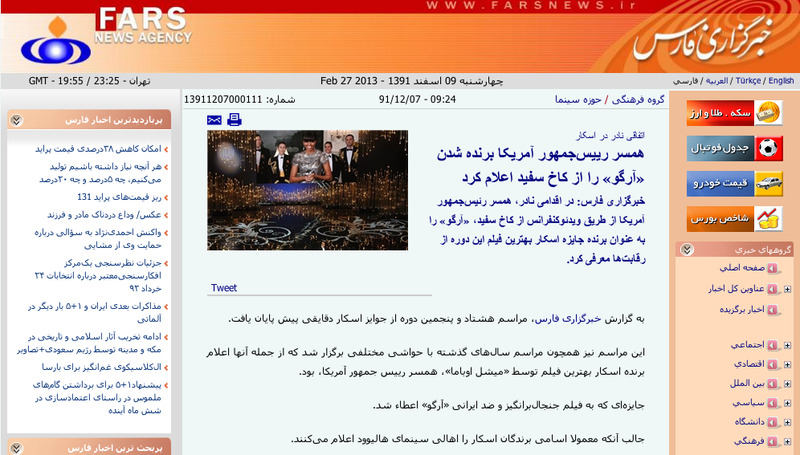 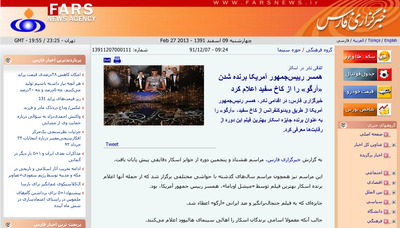 The photo edit was first noticed by D.C.-based Iranian journalist, Golnaz Esfandiari.